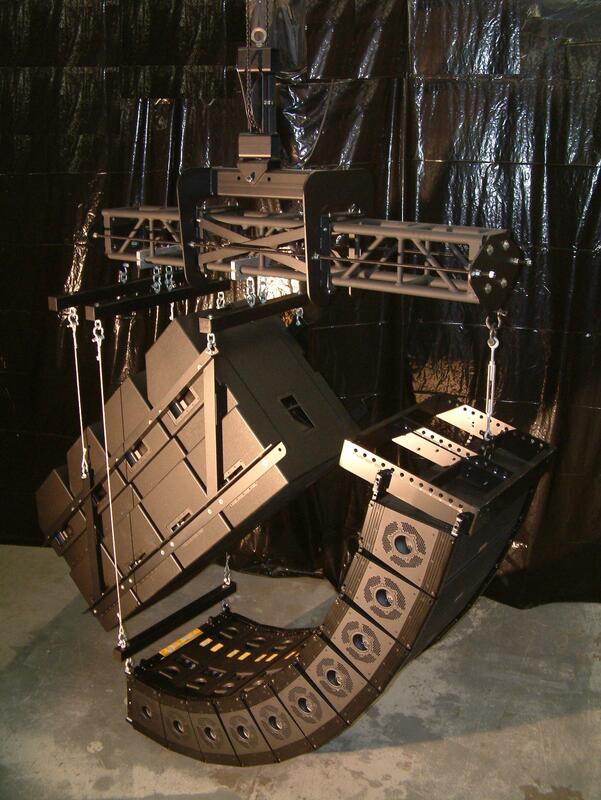 Polar Focus Motor Zbeam for CM hoists allows for a single electric chain hoist to support a speaker load (line array, or conventional boxes) with control over pan and tilt. 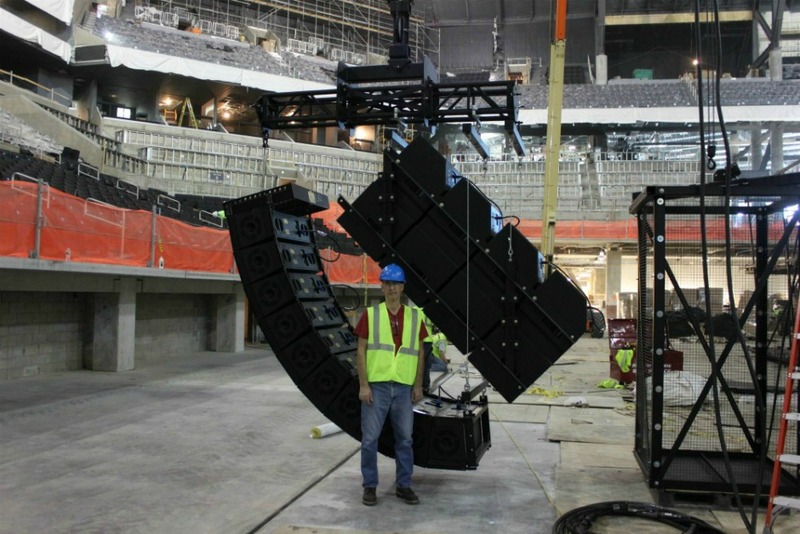 Even the largest line arrays can have full pan control with a Motor Zbeam. 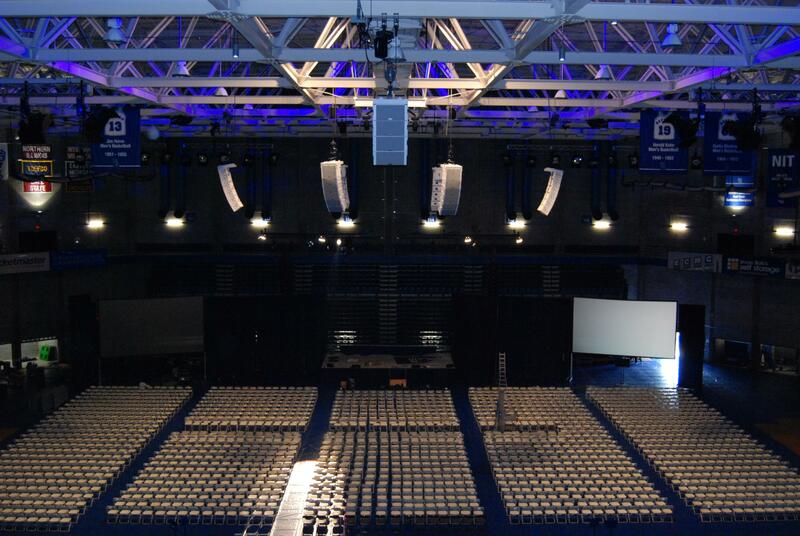 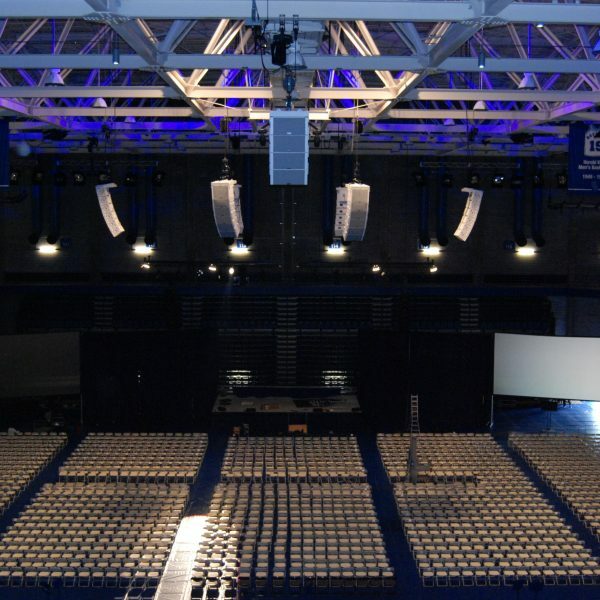 We offer a full line of audio rigging equipment for professional loudspeakers and line arrays. 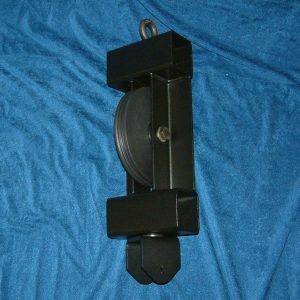 Polar Focus Motor Zbeam for CM Hoists. 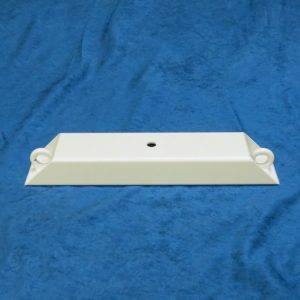 This model is designed with custom pulley options to fit CM bodies. 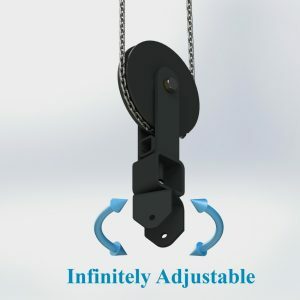 Chain samples are required for design. 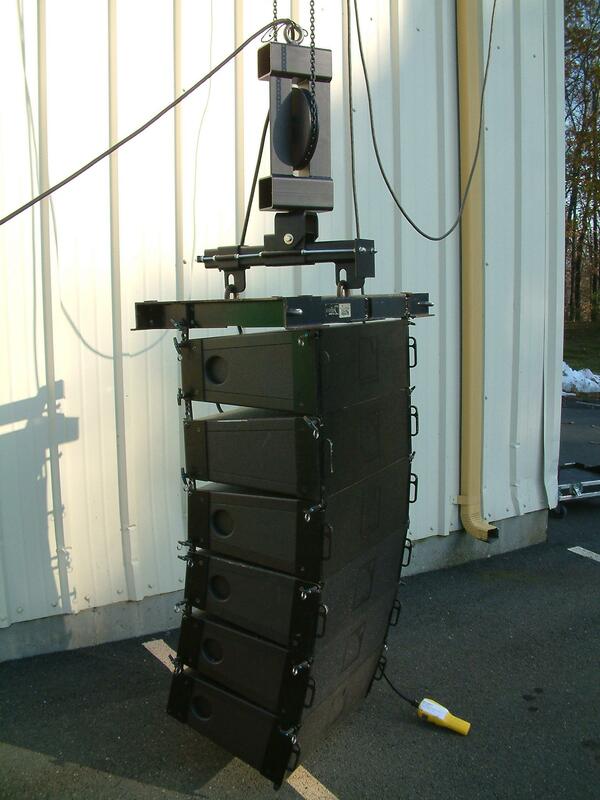 Polar Focus Motor Zbeam allows for a single electric chain hoist to support a speaker load (line array, or conventional boxes) with control over pan and tilt. 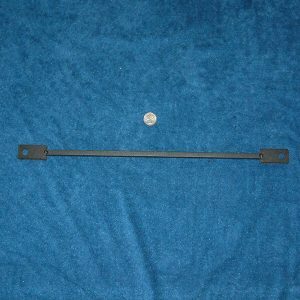 This system has a 2:1 mechanical advantage using a 10 inch diameter chain-pulley. 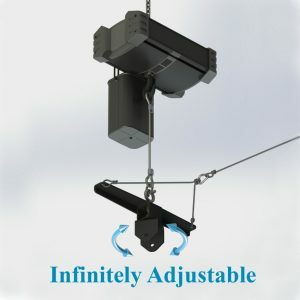 Thus a one-ton chain hoist can be used for two tons of loudspeaker load. 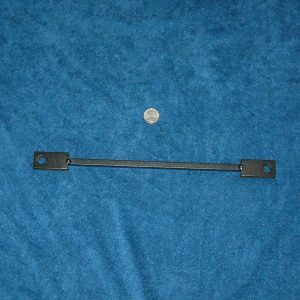 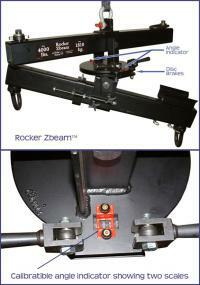 The pan angle of the speaker load is supported by a Zbeam axle for easy aiming. 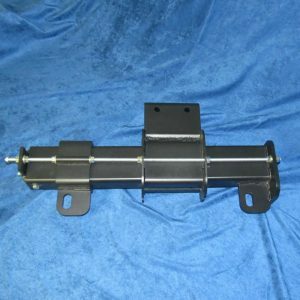 Pan angle is adjusted by turning the suspended speaker load relative to the Motor Zbeam. 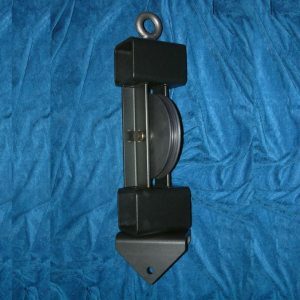 The pre-tensioned friction bearing holds the pan angle after you stop applying torque. 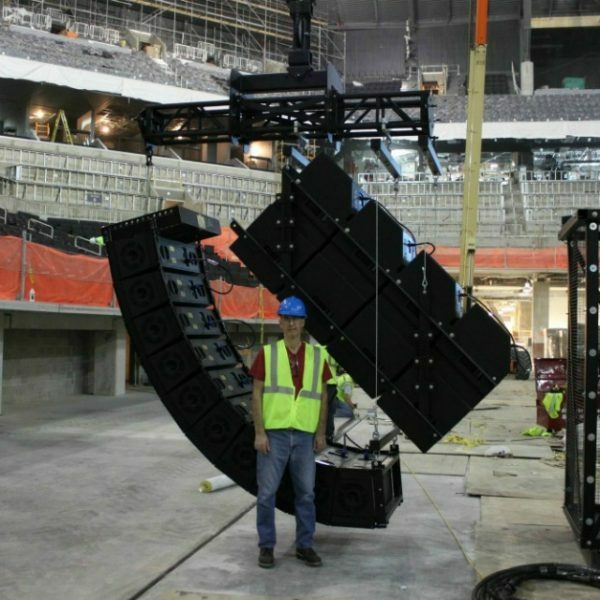 The most popular suspended speaker loads are line arrays, with tilt controlled by a Spine Frame Adapter™. 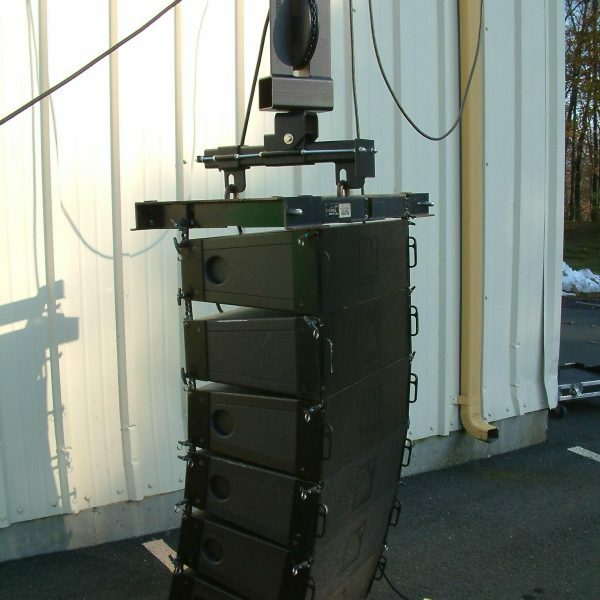 Other speaker cluster configurations are available. 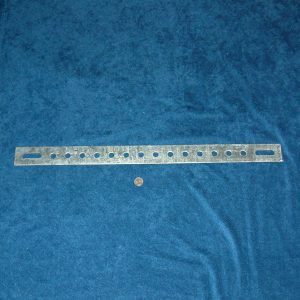 Even the largest line arrays can have full pan control with a Motor Zbeam. Polar Focus Motor Zbeam Single Hoist Steering for CM Hoists. 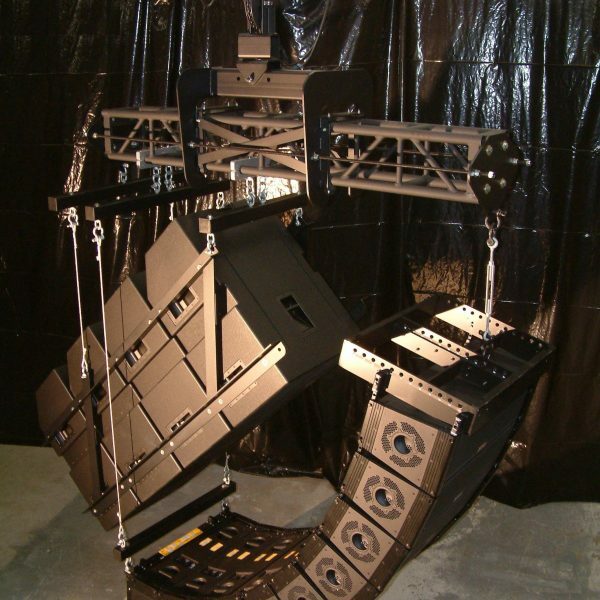 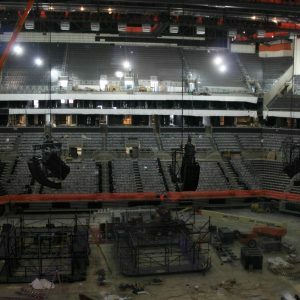 Pro audio rigging design, roof attachment, supplemental structure, sales, support and PE stamped drawings for all 50 US states and Canada provided by Polar Focus. 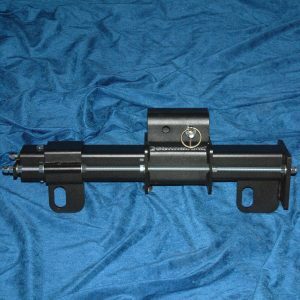 Call us at (413) 586-4444.